1. What is the Vision of Feely Piano? Our vision is to create opportunities for people to learn, connect, and create stories of themselves through our online social community and in home lessons. We reach to provide lessons in homes within multiple instruments throughout Canada. 2. How did you get this thought of enabling Music lessons with Technology? I began teaching music lessons in my students home when I started dating out of city. The drive to my then partner was long and costly, and I wanted to find a way to make some side cash to help cover the cost of my trip to him. When I found myself without a piano, I looked for students who wanted lessons in their home! When the business grew and I started hiring employees, logistics and coordination of all of the business it seemed impossible. Creating software to facilitate for easier booking and student rewards helps my business run more efficiently while showcasing students goals and accomplishments. 3. What were those key ups & downs that you went through during the phase of this transition from Piano Teacher to an Entrepreneur? Did insecurity scare you at the beginning? Oh man, every day is a roller coaster in my life. I think one thing I've come to handle is insecurity, risk and fear of loss. Hiring was for sure a bumpy road to travel while I was beginning, and shifting my role as a music teacher in many ways made me feel loss of self. To abandon the role I knew and place it in the hands of another person as extremely fearful. It felt like I was giving away my job, comfort and business with the hope someone would care as much as I did! Not so easy. Leaving my teacher self behind, my new job was created and modified daily as I constantly have to adapt and change myself for the needs of the business. Riding the wave of daily live and having faith things would work out has been so hard, but also rewarding. 4. How do you feel having your Dad as the backbone of Feely Piano? I love supporting my father's music education research through my school, and seeing him grow and change as well as he learns from me. 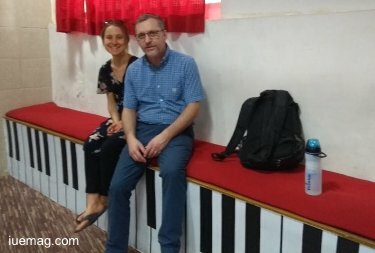 Having a father, colleague and good friend in Pat brings me such joy and it is comforting to have someone who can relate, offer suggestions, and develop music programs with. Many of an entrepreneur tasks are independent and alone, and it's great having Pat on my side as a musical companion. 5. What were the challenges and bottlenecks that you have faced in the journey? India has been overwhelming, confusing and difficult while also being renewing, eye opening and inspiring. There has been many hurdles to overcome- how do you adjust to the time change? How do you navigate in a new city, culture and language? How do you eat safely, and where should you drink water from? Although my India experiences led to much discovery, it has been truly amazing. The culture of people are so warm and sincere. Businesses are thriving in collaborations and creation. The people and the places I have seen are irreplaceable memories. This trip continues to teach me, and I am grateful. 6. After Piano & Guitar, are you looking to foray into other Instruments as well? Someone once told me "don't do many things crappy, just do one thing really well". 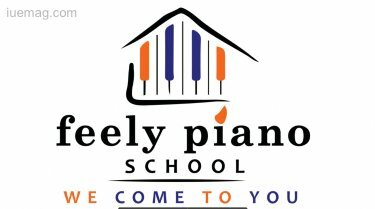 Although we will look forward to offering different instruments yes, our main focus right now is to provide music lessons of very high service quality for piano. 7. Feely Piano Journal is very intriguing. Can you throw more light on that? Our practice journals are a tool for our students which allows them a place to journal, ponder, and dream about what they would like to achieve. We believe that students need to envision what they want to achieve, in order to become successful. Our journal is based on a combination of research and CBT therapy, something I learned of personally while overcoming my eating disorder. I saw my ability to reframe my identity and behaviour through journalling and self set goals. I wanted my students to have the same opportunity to learn this important skill. 8. Why did you choose to embed Journaling as an Attitude among students? Do you feel Journaling is important? My own journey of learning how to self author, create, and express, has led me to understand the importance of journaling. Many intellects advise to write goals as a way to achieve an implementation stratedgy for accomplishing your goal. I find this is very true in my own experience and also in the ways I have seen my students set goals and improve through this method. 9. How many people have been impacted by Feely Piano as of now (Teachers & students)? Where do you envision to see it reach in the next 2-3 years? We currently have 26 staff, 150 students and we also have 100 University students using our business as a case study project. We have hired over 50 part time music teachers since September 2017 and in 2-3 years we plan on hiring over 100 part time teachers for over 500 weekly student lessons. 10. What are your goals of Expansion in India? We will be partnering with a software engineering company to create an app which is a combination of Pat's research study and business knowledge! The app will be used by teachers and providing them with an easy to use homework assignment structure so that students will receive homework on their mobile devices. We've included Pat's research on motivation and self regulation along with gamifications to make practicing fun. 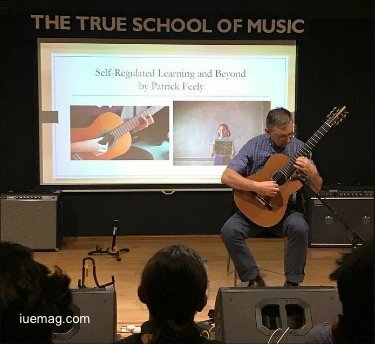 Pat will also be partnering with Indian schools to further strengthen his research and guitar communities. 11. Why do you think that the giants of Music teaching Industry wouldn’t have given a thought to this space? Pat's research is innovative and a largely untapped field of study. 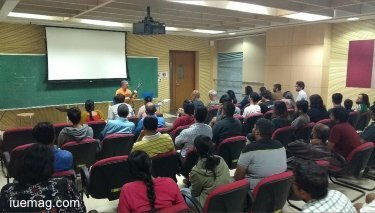 We have been quite astounded with the differences between Western music institutions and Indian music education and from our networking and meetings, it has become evident that there is a need for more structured curriculum and teacher training for music teachers. Before travelling to India I was not prepared or aware of this need for education and perhaps this unawareness is the reason for an app such as this, to not have been made. 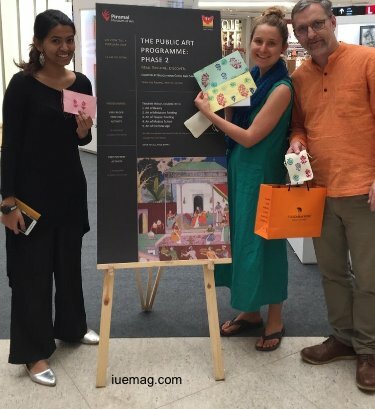 However, the networks and partnered companies in India are music institutions looking to work with us to implement our research into their teacher training and curriculum. 12. As an Entrepreneur, what would you regard as one of the achievements that you would like to accomplish and when? As an Entrepreneur I would like to use music as a way to connect people online, and to teach people to develop critical thinking skills through music. While measuring a social outcome such as this is difficult because it is not tangible, this will be measured through our online presence and student enrollment count. I see us as a place for students to create memories and to improve quality of life through music. For me personally, sucesss looks like this - do what you love and never work a day in your life. Treat those whom you work with as family, and they will see you the same. Never live in the past, use the evolution of life to improve, though it will be difficult. Strive to be grateful every day, and always ask yourself "what made me smile today".